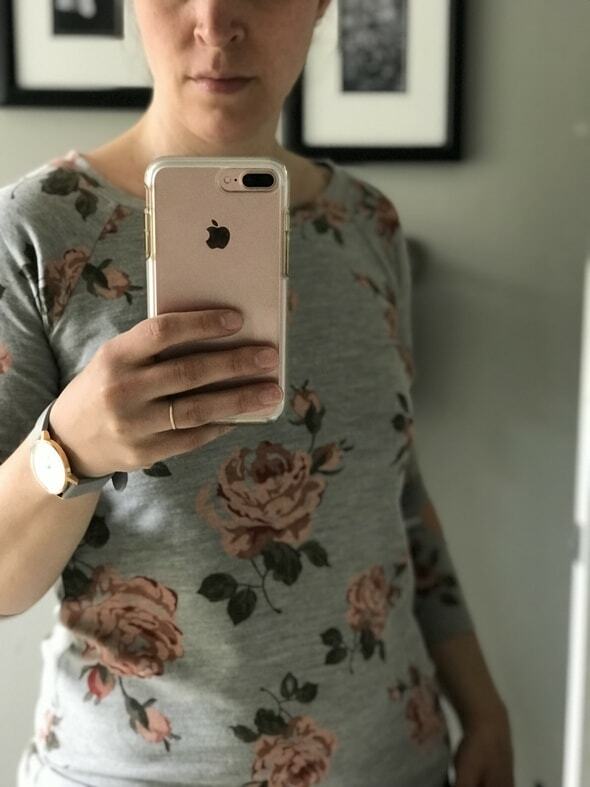 In case you missed Monday’s post, I recently took a bit of a risk and ordered a $100 rescue box from ThredUp*. I already shared photos of the items we kept, so today, it’s time to see the rejects! Get comfy because there are a whole lotta these. 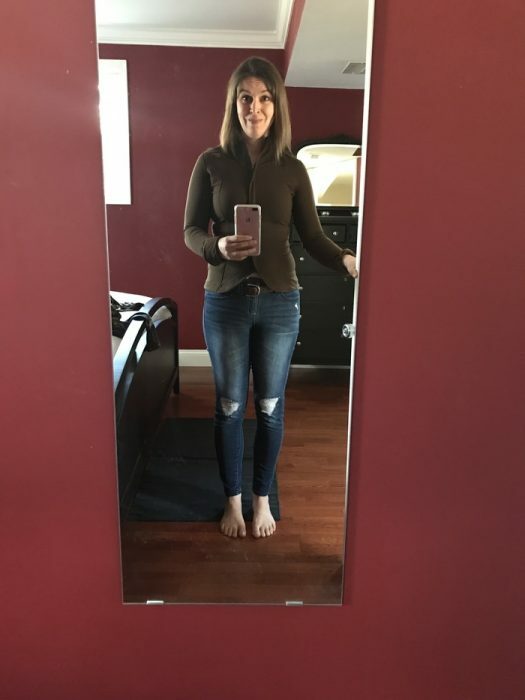 A lot of these are mirror selfies because this was just too many clothes to ask my kids to photograph me in. So, forgive the dark cell phone mirror shots. Hopefully you can still assess the fashion (or lack thereof) properly. 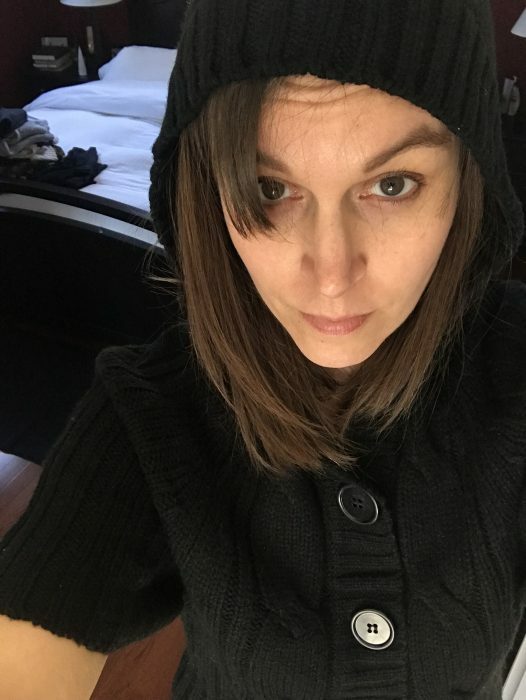 A short sleeved sweater with a hood. WHY. In what climate would you need a hood but no sleeves?? 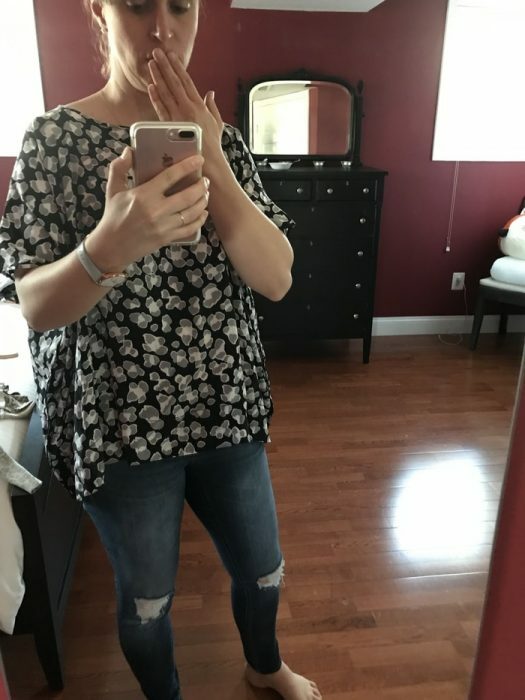 Looks like a maternity shirt; isn’t. I dubbed this one, “the steel wool sweater” because that’s exactly what it felt like. 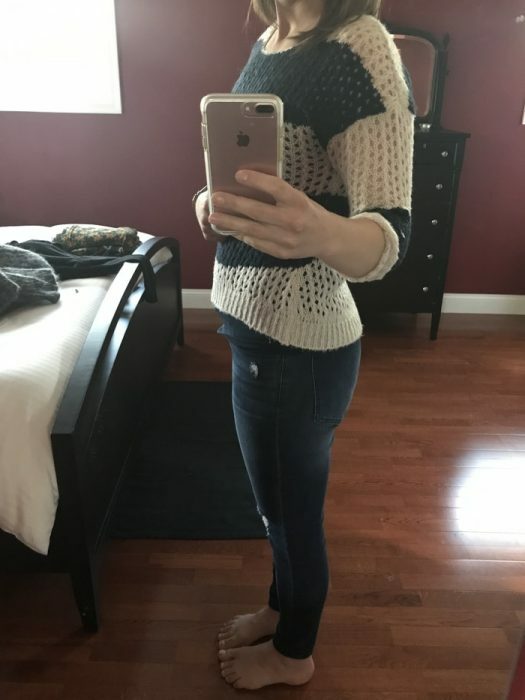 This sweater wasn’t terrible but it does kind of make me look…one-sided. These two polos were just not my style. 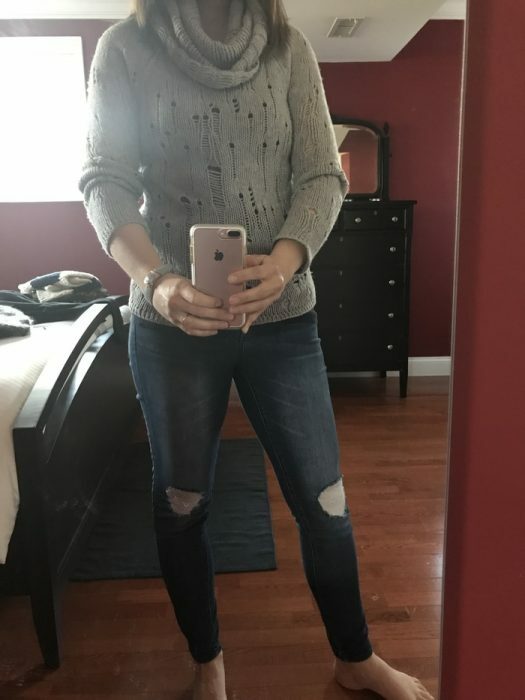 Here we have a sweater with a lot of holes, plus 3/4 sleeves. For those times when you want to wear a sweater but you’d also like to be cold. I think I just don’t understand short-sleeved sweaters at all. 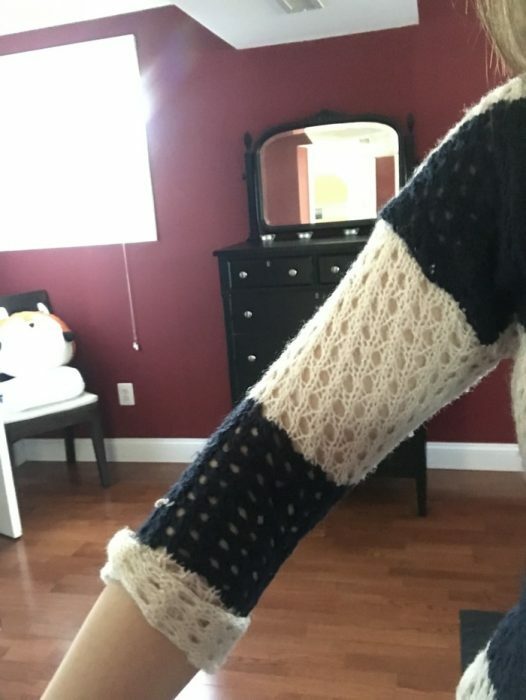 This sweater would not be my favorite with any type of sleeve, but I have to say, I really hate these types of sleeves. They are so annoying when you want to wash your hands! 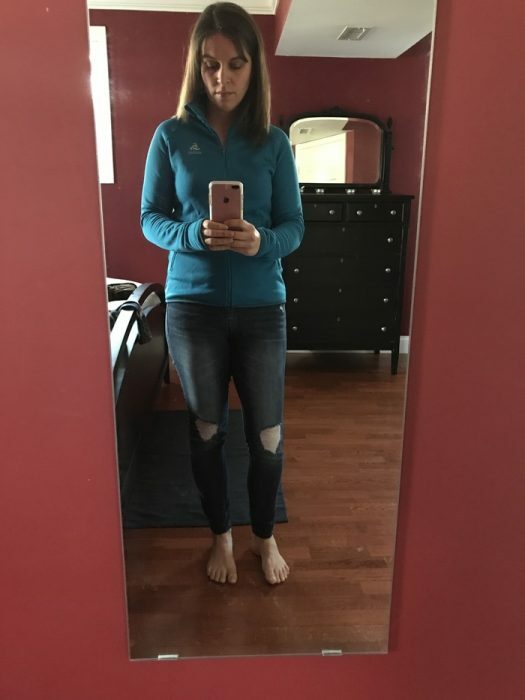 This jacket is Lululemon, but it has a weird shape…like the bottom is sort of petal-cut. It was too small for me, and my girls definitely did not want it. 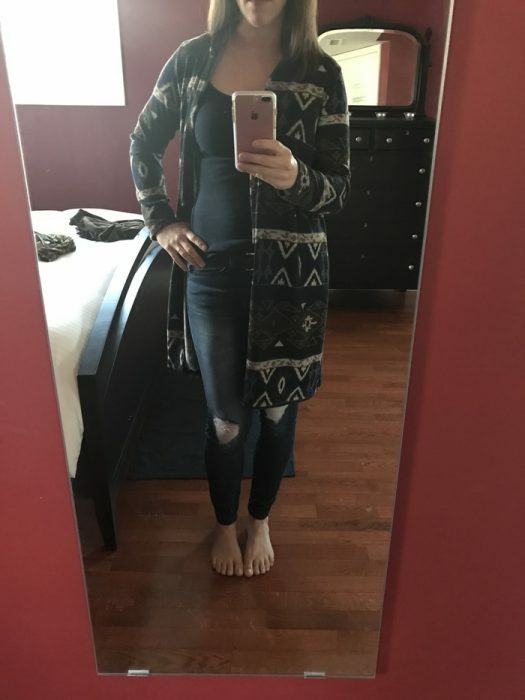 I’m not against long cardigans, but this pattern is not at all my thing. 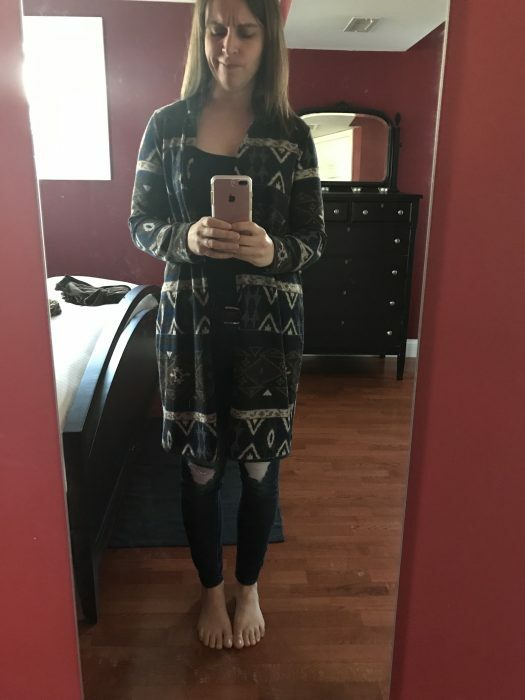 And neither is this LuLaRoe cardigan. I think I look terrible in it! 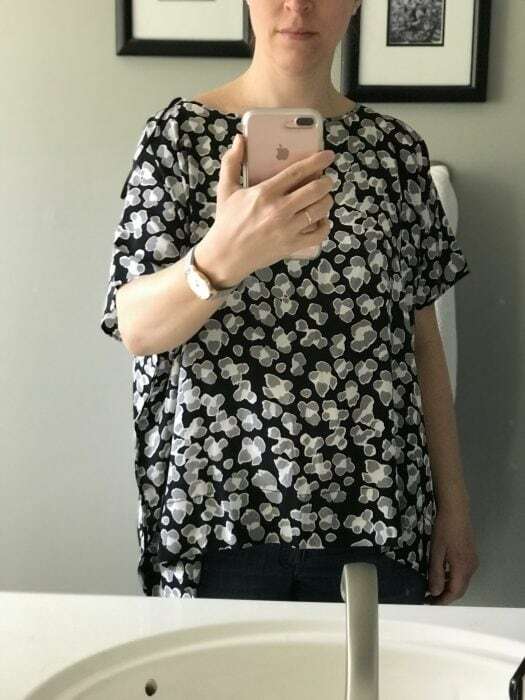 This shirt looks pretty normal. 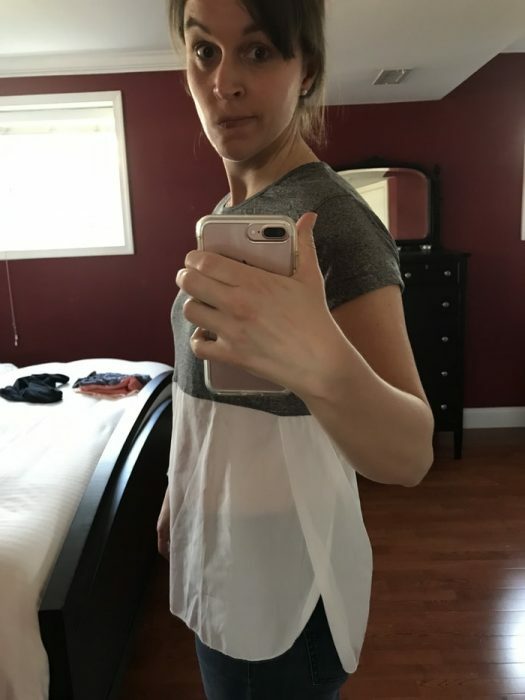 But the body of the shirt is attached at the elbows! 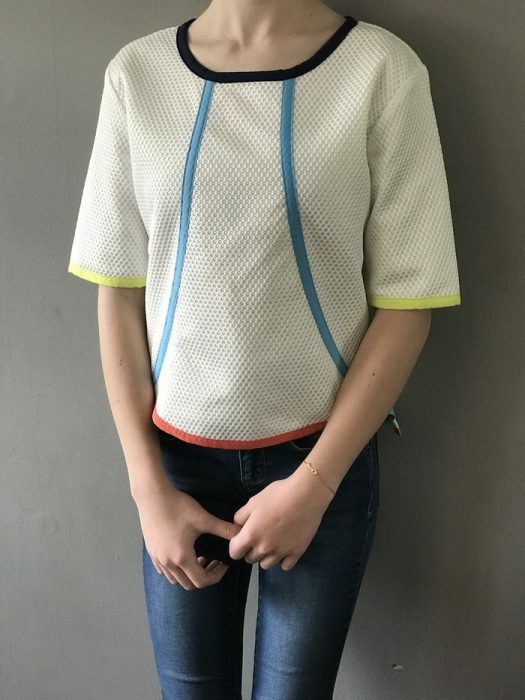 This is made of a dressy-ish woven fabric, but has a graphic-tee look to it. So odd. And you can clearly see where the lining around the collar begins and ends. But the sleeves are a little unusual. 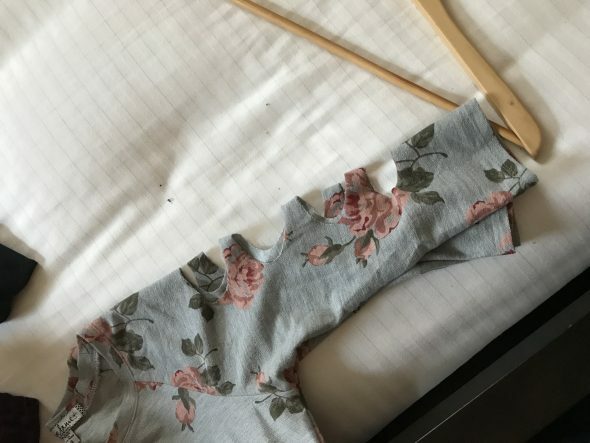 Also, a short-sleeve cut from a fall-looking print seems odd to me. This jacket is pretty normal looking, and I’ve considered keeping it. I do not love the symmetrical placement of these flowers. 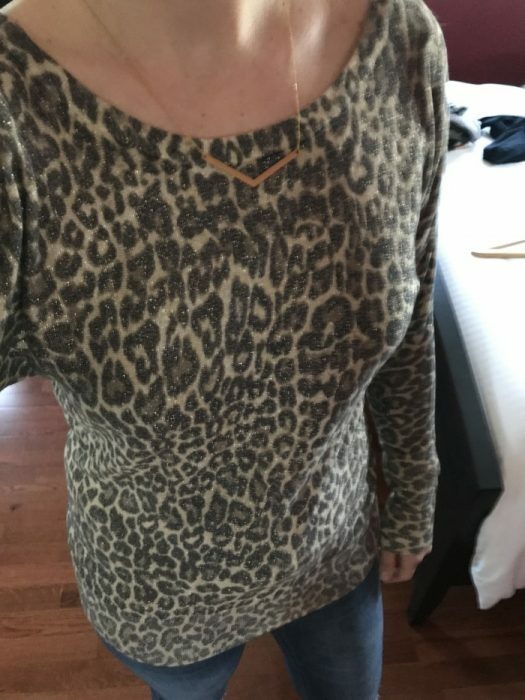 I have bad feelings about this print, and the sweater was super itchy too. 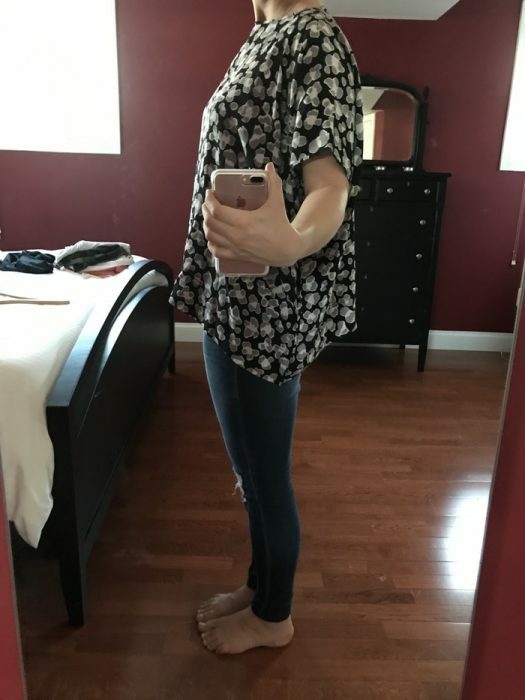 This is not terrible, but it has those really high side slits. And a crew neck, which is not bad, but I really do not prefer myself in crew necks. 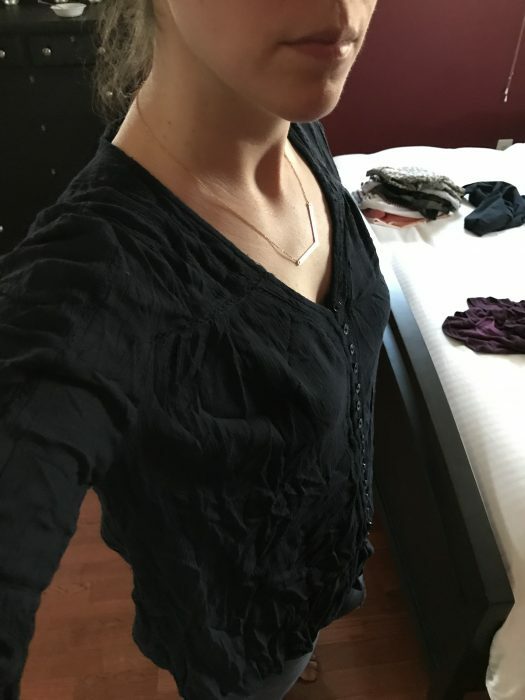 This top…it feels way too old for me. But the sight of me in it cracked us up no end. This tank looks pretty normal from the front. But the back is scooped so low that anytime you move, the front falls down. This shirt just felt out of date. Diane von Furstenburg designed this and I really do not know what she was thinking. I call it the, “I’m about to have surgery” look. 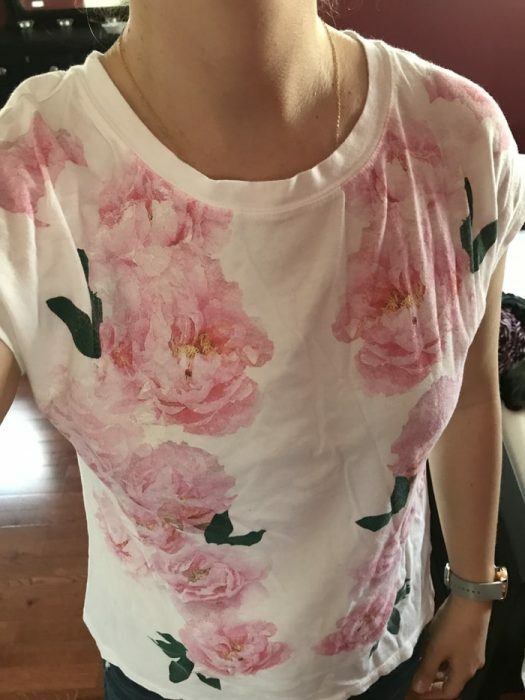 This shirt looks like it could be normal. But then you see the sleeves. WHY. This genuine leather vest fit none of our styles. But it did happen to be Zoe’s size, so she kindly modeled it. 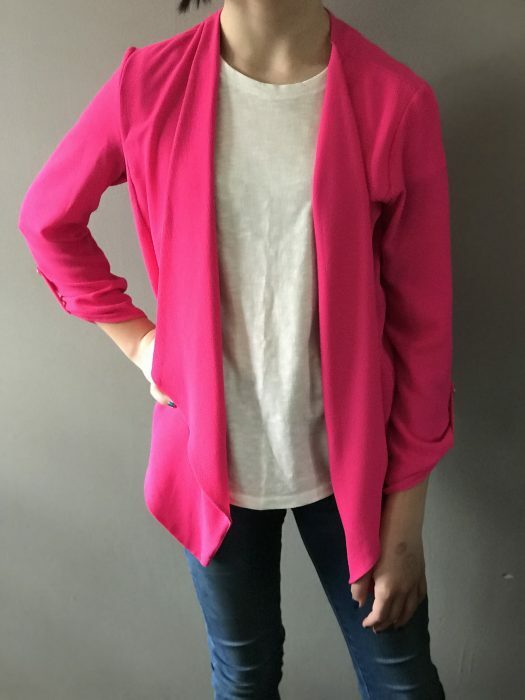 This hot pink cardigan might not be flattering to anyone on the planet, but it is SO definitely too old for any of the four of us. I couldn’t get this top on at all, so Sonia modeled it. It’s really too big for her, and it’s a weird bandage-like fabric. We all agreed that maybe someone very fashionable could come up with a outfit to pull this off, but it wasn’t working for any of us. 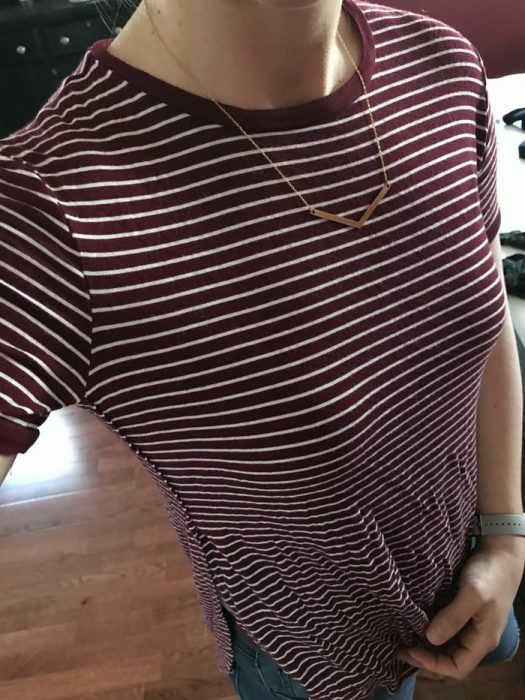 This shirt is not terrible, but it was a little too short and cut in a swingy style that seemed off with the shorter length. You’ve seen this shirt on me already. It wasn’t any better on Sonia. This one is technically a top. It didn’t fit any of us, but we wouldn’t have modeled it for you anyway. 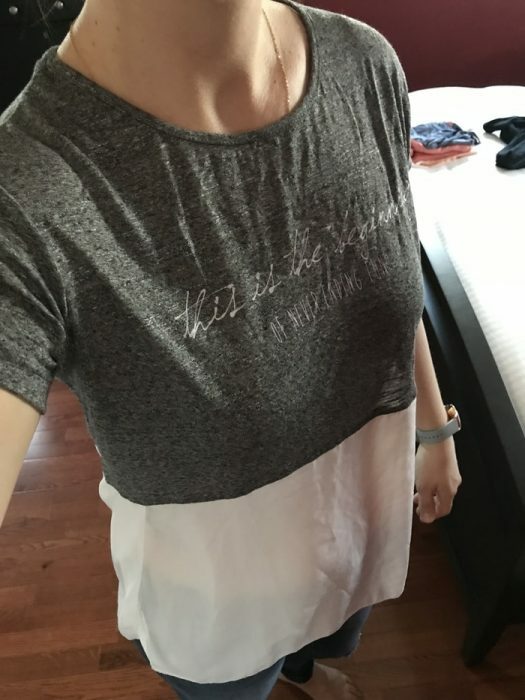 I don’t know why this shirt is sheer on the bottom half. 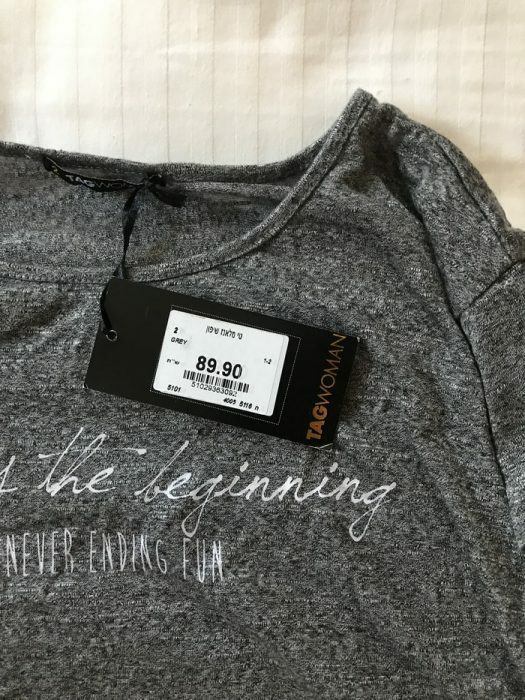 I also don’t know why it says, “This is the beginning of never ending fun.” What? And I don’t understand this price tag. 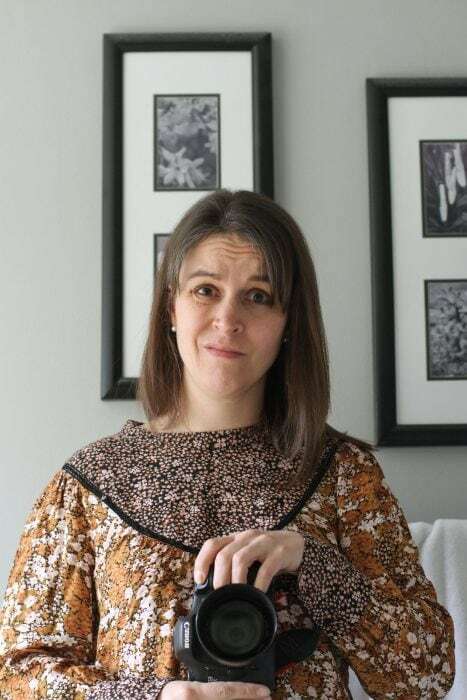 I hope you enjoyed this tour of the ThredUp box rejects! 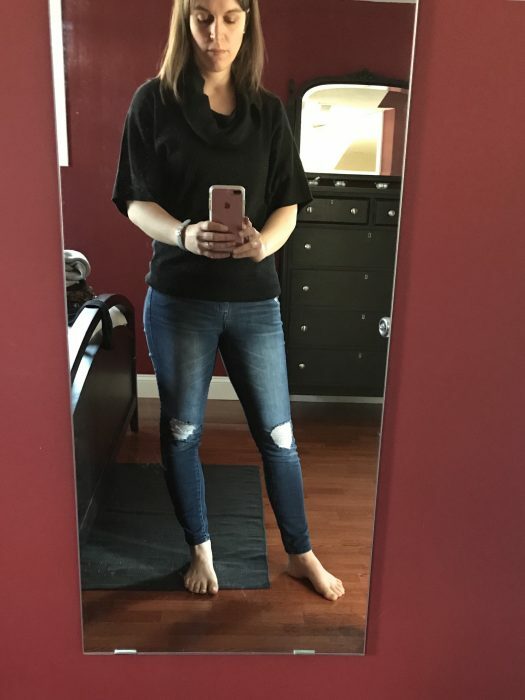 And if, even after seeing this post, you want to try a ThredUp rescue box, click here and look for the “Rescues” tab up at the top of the page. P.S. 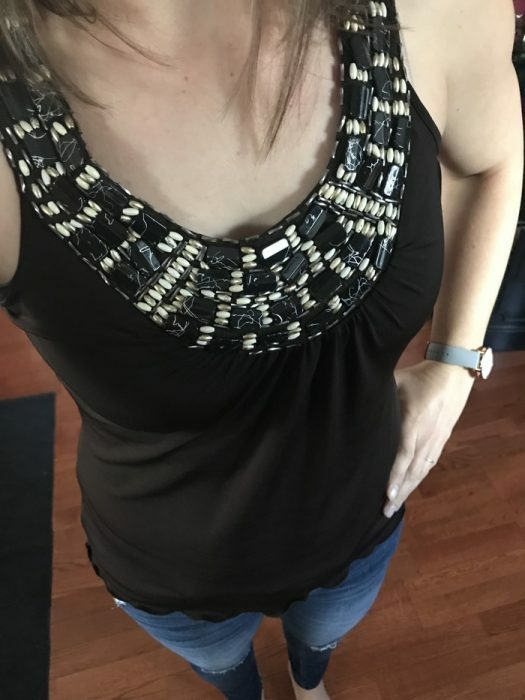 Here’s the post where I shared what we DID keep from our ThredUp rescue box. Awesome. Also, did you factor into the cost the amusement of your family and your mother-daughter fun time? The hilarity this box provided was probably worth $100. Joshua and Mr. FG enjoyed it too because of course they got to see us try everything on! I think Zoe should have kept the leather vest. Maybe event the shirt too. 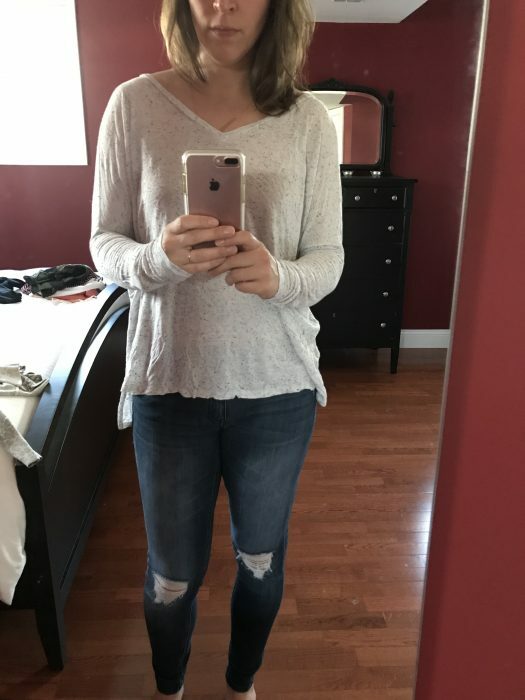 They look great with the white t-shirt and jeans as well as her hair. Thank you for the funny post. The morning laugh session! 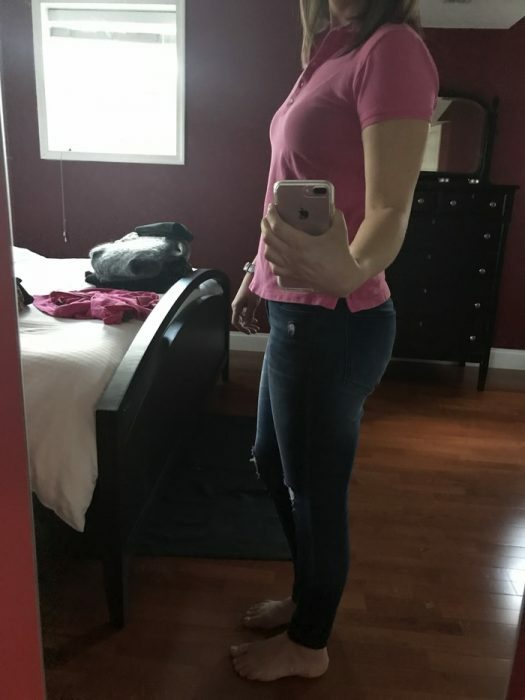 Those really are quite the tops!! 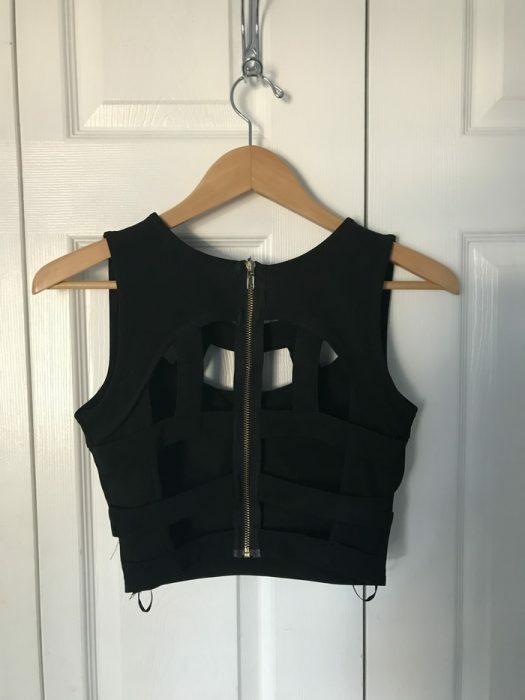 I am thinking that weird leather vest could be useful for halloween. It screams ride a Harley to me. 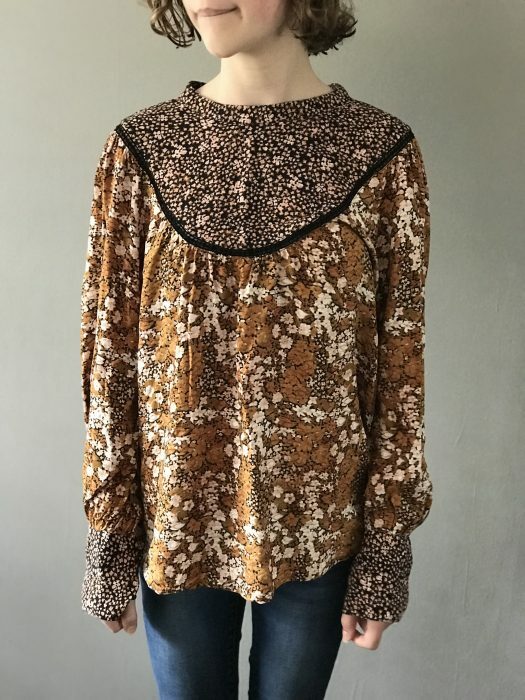 I know I’m the only one, but I would make something out of the brown floral top. It looks like 1960s Liberty of London fabric to me. I also like short sleeved sweaters. I always push up long sleeves anyway. I was thinking that the short-sleeve sweaters are good for when you’re cold but have to wash dishes. But then do you change back out when you finish with the dishes? Short sleeved sweaters make more sense here in Texas where we do like a sweater but anything to heavy is too much 90% of the time. Ditto for California. Short-sleeved and extremely lightweight sweaters are for when it’s December, so you want it to be winter, but it’s actually 50 degrees out. That is hilarious! Especially your comment that none of you would have modeled the half a jacket anyway. Thanks for the chuckles, I needed then today. There was a rather infamous sweater that came out a few years ago that Japanese twitter users called “the virgin killer sweater.” I think whomever designed that thing probably had a hand in designing some of these. 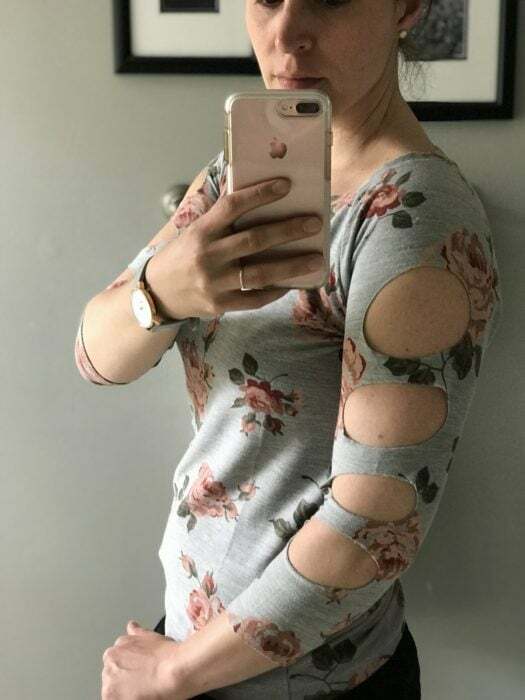 I mean, why put holes in the sides of sleeves? By the way, with the black hair and nail polish I actually think that Zoe was rocking that leather jacket. 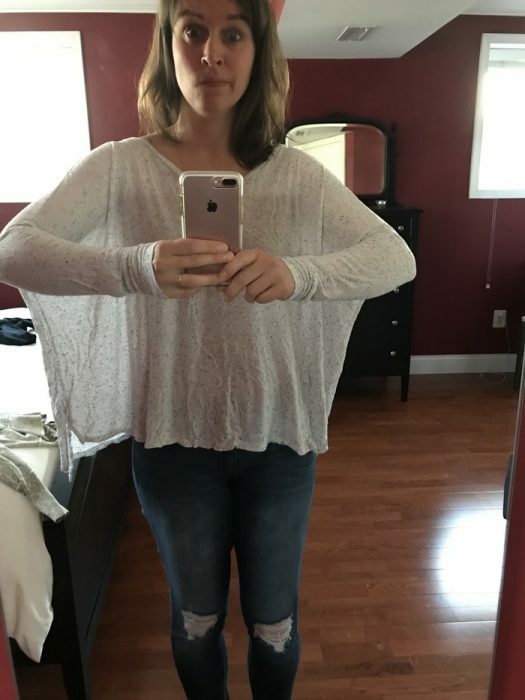 I was liking the first shirt, until you showed us the sleeves. Why??? I guess the box just goes to show that different people have different styles. Thanks for the honest review, and all of the pictures. 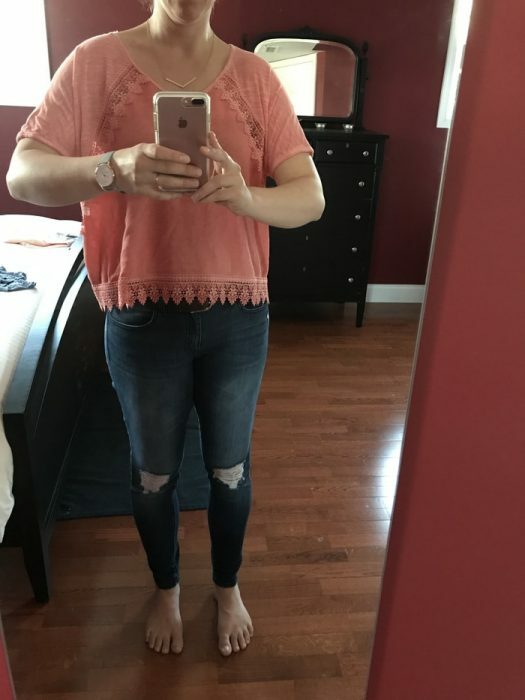 I’m in the process of losing weight, and have been considering a rescue box., either now since I hope to not be in my current size for long, or once I get down to the size I need to be. 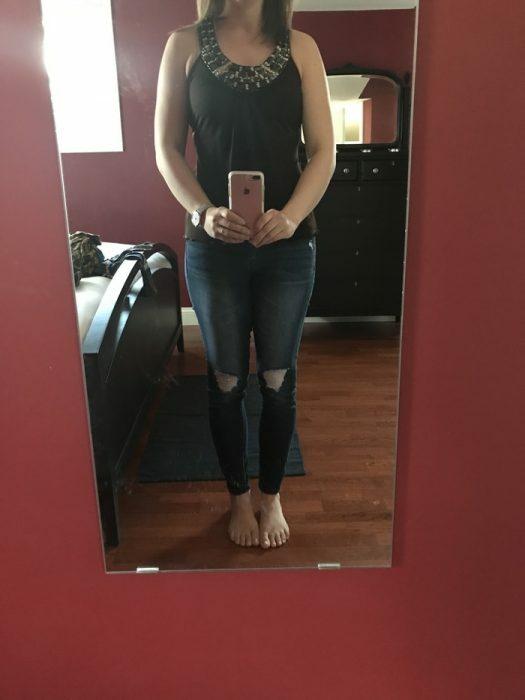 I love your idea of trying it out with someone else of the same size. Now I just need to recruit a friend. You can always resell them on Ebay! Some of those brands should do well for you. Oh my, I can see the rejects in most of these (my “favorites”, the cheetah print and weird bat shirt), but for what it’s worth, I think you looked awesome in the long print cardigan The whole ensemble with the dark tank top and skinny torn jeans made it look really fresh and comfy in a put together way. I thought that one looked like a man’s bathrobe. “acceptably Kristeny” This made me laugh! Hmm, so many things going on here. 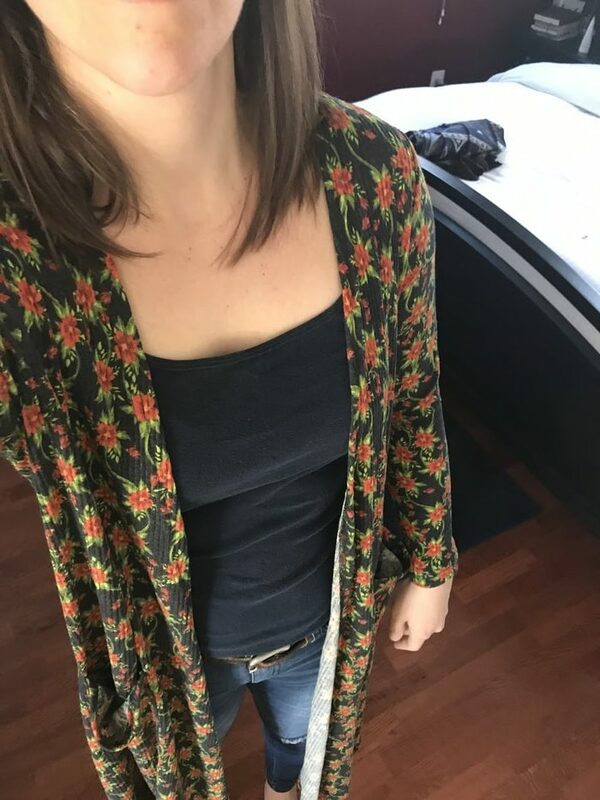 I kinda like the long cardigans with maybe a plain short black dress underneath? The cowl neck black short sleeved sweater looks good on you to me. 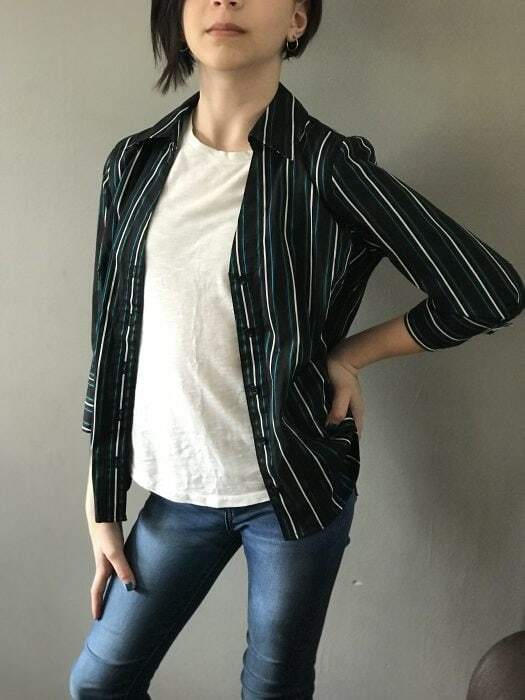 Also, I think Zoe could pull off the pilgrim shirt because of her edgy haircut but I’m sure it’s too big for her…and she probably hates it! Sonia looks good in it, too. I think it’s because of they have short hair. I like that little blue jacket on you. I also think Zoe is adorable in the little black leather jacket. I’m with Battra, she would make an awesome black and white photo in that jacket, white t-shirt, jeans, and the hair….on a Harley…or maybe leaning against a tree or old fence with a serious face. Maybe you should snap a few cool photos before you send it back!! I enjoyed this post, thanks! I just realized you don’t send them back. Maybe have a swap meet at church. I bet there people that could wear some of those things. Wow, this post did not disappoint! Thank you for taking the time to photograph the entire box. The Diane von Furstenburg shirt reminds me of river rocks people put in their shower floors. The steel wool sweater (and your expression) made me laugh out loud. Thanks for sharing! I wasn’t so surprised when you rejected so many. When I go shopping, I am always amazed at the number of ugly looking clothes. I ask myself, “who would buy/wear these?”. Now we know where they end up. I’ve actually said “eek!” out loud when flipping through the racks at Goodwill. You sure know why they were donated! That’s quite an assortment! I actually love short sleeve sweaters, and I wear them in the winter with lightweight long sleeve tees. I hate the way long sleeve sweaters feel, and they make me too hot. That hot pink cardigan would look great on me. Most of the other shirts were pretty ugly though. This post did not disappoint! Thanks Kristen! I feel like these boxes are really similar to trying on 50 random tops at my local thrift, so I think I’m more inclined to get my entertainment that way. Great post! Thank you! 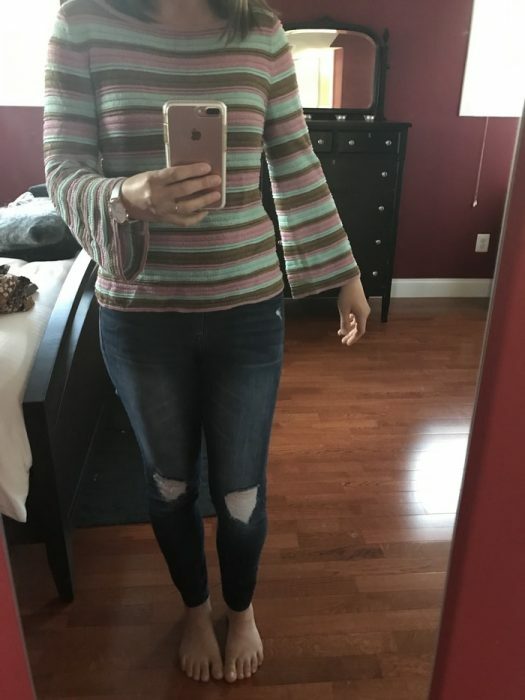 I actually have a few short sleeve sweaters, but I live in S Florida, and it gives me a sweater look without being really hot with the long sleeves. I can only wear them in the spring and fall because it’s too hot here in the summer!! Wow. So, I hate shopping. I’ve heard of thred up, but I’m very much in the “wear out everything I own” phase, even if it is woefully out of date. I have friends who LOVE thrifting, and one who has been making money buying at thrift stores and reselling. But…it’s not for me. This brightened my whole day. What a collection! I can understand why no one wanted to model that little black number. You have to wonder about some of the tops, especially the pilgrim top and the hooded yet short sleeved sweater. Some aren’t so bad, just not you — or your girls. So now I’m curious. Do you plan to try and resell them or donate to Goodwill or what? Do you think you’d do it again? I got such a laugh out of this post! You really have to wonder what the designer was thinking. 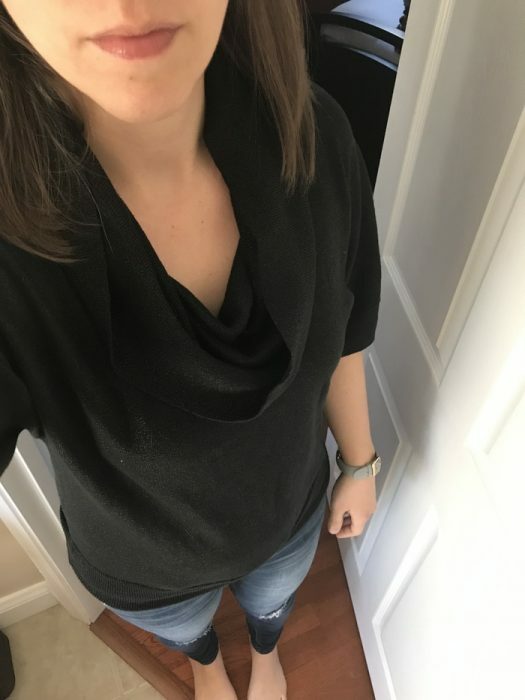 The only piece I might have kept was the black sweater with the cowl neck and short sleeves. 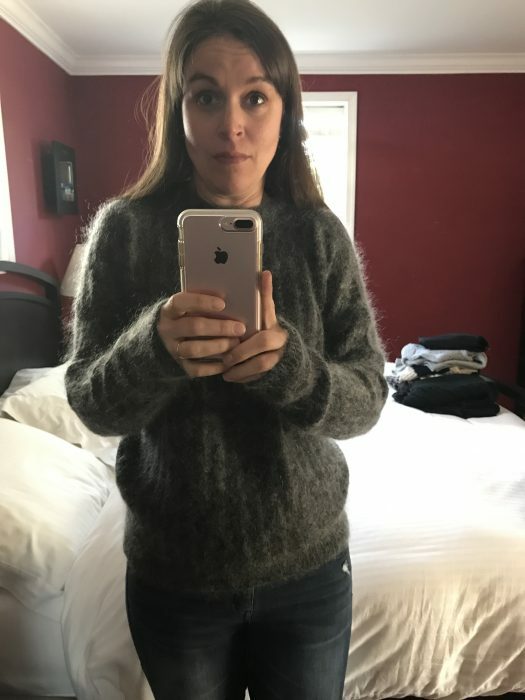 As someone who frequently feels chilled but lives with someone who runs hot all the time and likes to crack open windows in the winter, I could layer it over a light turtleneck and be warm but not overly warm. Sometimes it’s hard to find a balance between warm and stifling in a sweater. Oh my word… I loved this post!!! Thanks for doing it!!! Thank for sharing, I knew this would be good. That brown floral thing…did it say Sister Wives to anyone else?! I quite liked the leather vest as worn, but well done for not keeping stuff just because it was there and fit. I’m in Massachusetts and so a similar climate to you, and I have never really understood short sleeve sweaters either. I want either short sleeves or a sweater! Thanks for the entertaining series! Oh man, the one with the roses on your roses was too funny. Had to be cut by a man!! I laughed out loud many times throughout this post. You are very, very funny. Thank you for a wonderful read! Well, this post generated a lot of comments. When I got to the second “holey” sweater, all I could think of was it looked like it got caught in a barbed wire fence. If anything keep the clothes for extra fabric and the buttons. Use them for crafts on those nothing to do Days. Haha, great post! 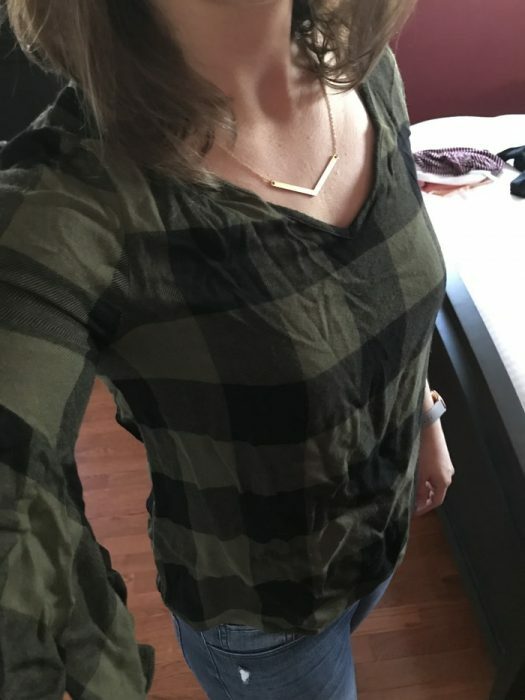 There was one shirt I though looked really awesome on you – the black and dark green plaid with the elbow-length bell sleeves. That sounds like a lot of fun to go through with your daughters. Haha! This is so much fun! I would seriously buy those two long, printed cardigans off of you. And even some of your weirder stuff you could sell so easily here in LA — like that Neverending Fun shirt? Makes no sense to most…but you see that in the bohemian beach areas all the time! And people exist who can pull it off…wild! So if you want to start a consignment side-hustle (pretty sure you don’t but!-), you definitely have sellable inventory! Love these posts! So funny. I got your money’s worth in laughs! I thought the “I’m going to have surgery” could also have been called ” pregnant vet assistant , ” and the floral one with the dark lettering looks like it says “Sara” to me. Anyway, thanks again for the laughs! PS…nothing has yet to top the flying squirrel sweater! 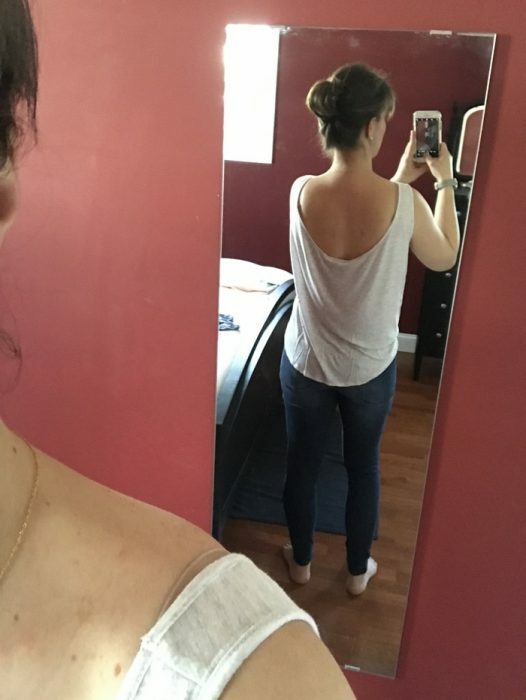 I absolutely HATE the cold shoulder style!!!!! 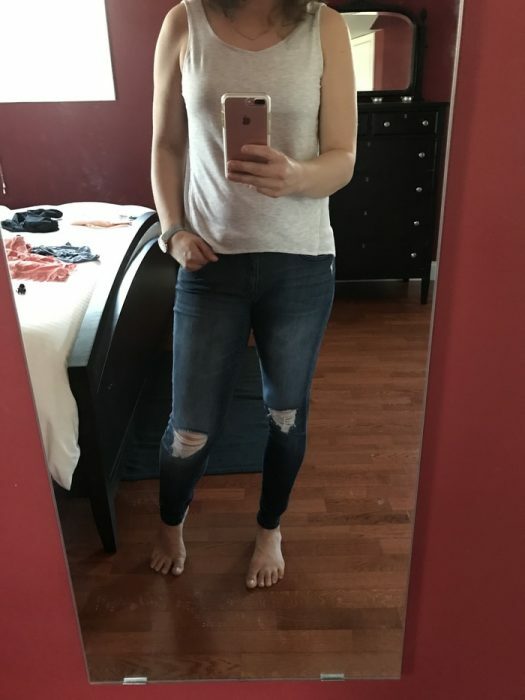 (Cut out at the shoulders). But it’s definitely not a “new style”. It was very much in style about 25 years ago in my neck of the woods. Yuck! 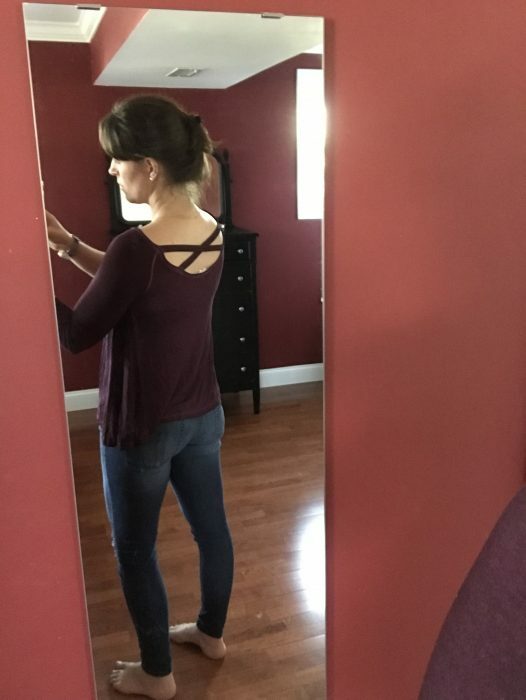 Hmm, I thought it was new to put holes in the shoulders. I live in Alaska, so perhaps it just took longer for the style you saw 25 years ago to reach us!! 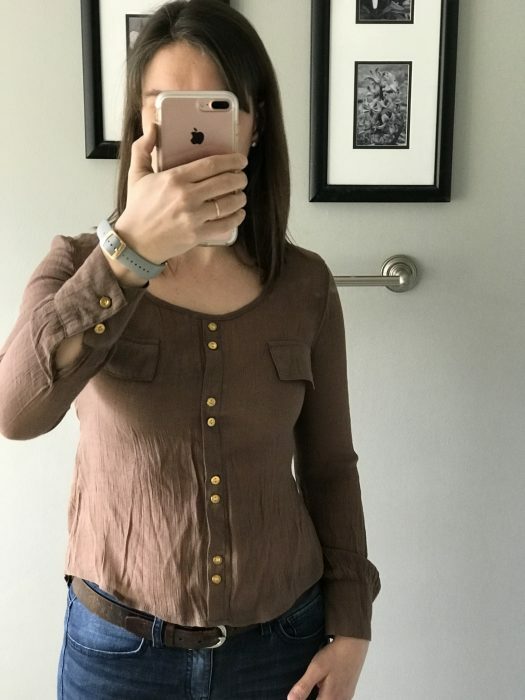 I feel like I’ve seen lots of cold shoulder designs in the last few years, so even if they’ve been around for a while, the mass popularity of them seems to be a more recent development. Yes, wasn’t that style made popular by the movie Flashdance? Now I’m dating myself, ha! Oh, this post was so much fun, thanks for braving the crazy fashions lol. 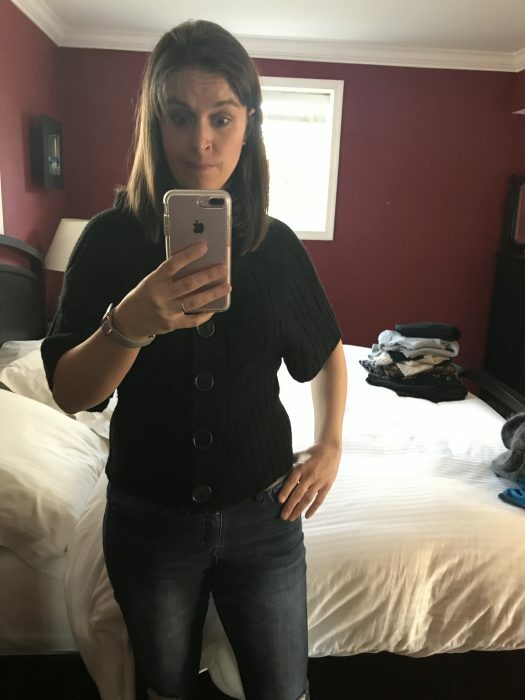 I’ll have to agree with a few others, the short sleeve sweater style shirts are a huge hit in the warmer winter states. 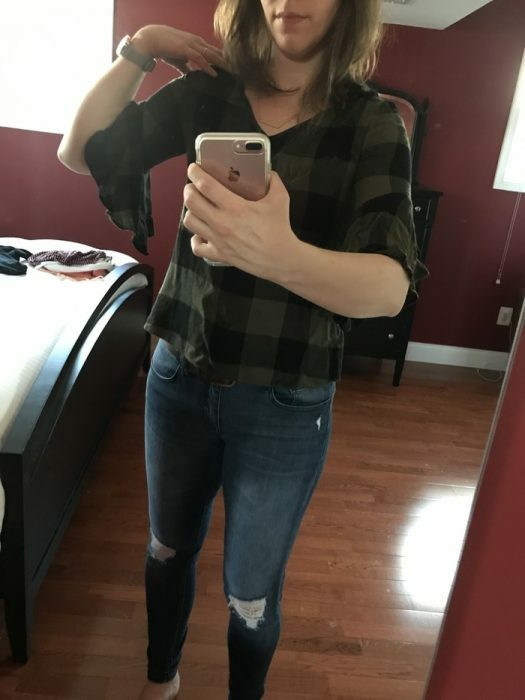 Here in Louisiana that three-quarter length plaid shirt would look amazing during the fall, same for the holey type shirts though some I think would look better on more fashion risky young adults. Hopefully, you can sell some on eBay or facebook marketplace. I think that must be why I don’t understand them…here, it’s always too cold in the winter to wear a short sleeved sweater. Ouff…. Those are pretty horrible! Even on a perfect figure like yours, so imagine….! The only one I like is the long black patterned cardigan. Better luck next time! I loved your expressions most of all!! That was fabulous! So many laughs! Steel wool sweater…who hasn’t encountered one of those! I agree with others about that leather vest. Zoe was rocking it. If she didn’t want it for normal wear, she could be a rock star for Halloween. Oh, man! I have been waiting for this all week! I don’t know what’s funnier — the clothes, your expressions or your descriptions. I think Zoe looks AWESOME in the vest — it totally goes with her hair, nail polish, etc. — skater girl, definitely. Just loved this post — it was hilarious! 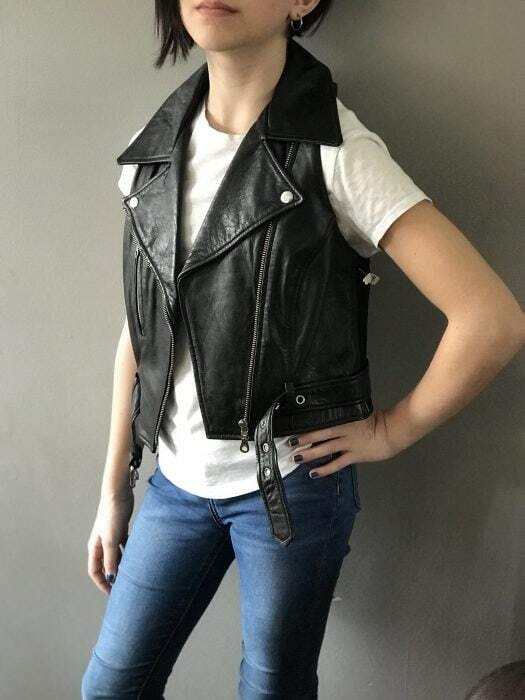 I also liked Zoe in the leather vest. But I was thinking “Biker Chick” for Halloween. It looks very wearable for real. Thanks for the laughs. Can’t tell you which pieces I thought were cute, because that would date me. And I agree with the others, the flying squirrel shirt still tops them all. That brown shirt would come in a close second. Donate it to a school doing a pilgrim play at Thanksgiving. You are dedicated to this blog! 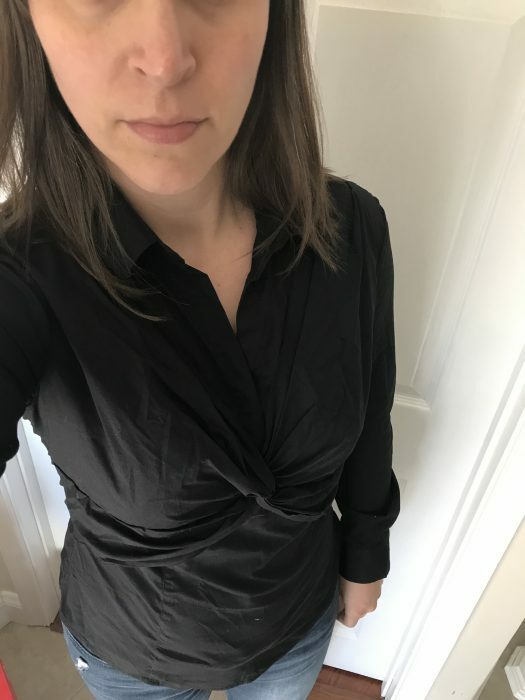 I hate trying on clothes, wouldn’t have lasted through 3 or 4 changes before changing the topic of the blog for the day. It was a LOT of work! So many photographs to take and then upload. 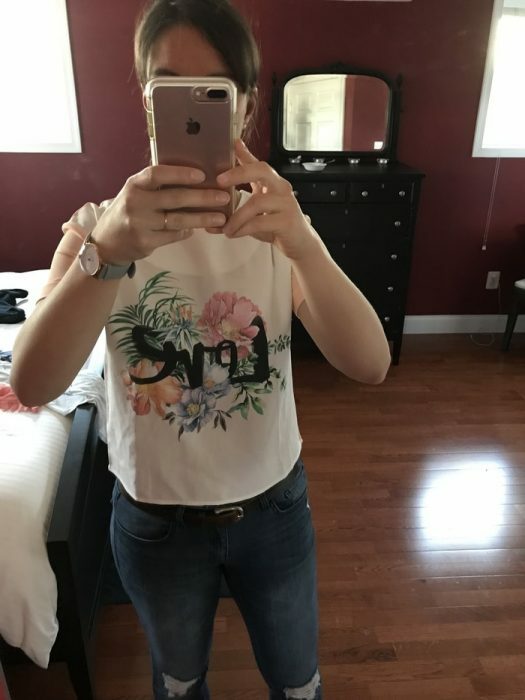 I love ThredUp and have spent a small fortune on their clothes/shoes. Many times, the items look nothing like the online photos. But I still come back. Loved your review. Funny stuff. I think I’ll be skipping the $100 boxes though. Great post, worth the wait! I looked at it first thing yesterday, and been back several times to read the responses. 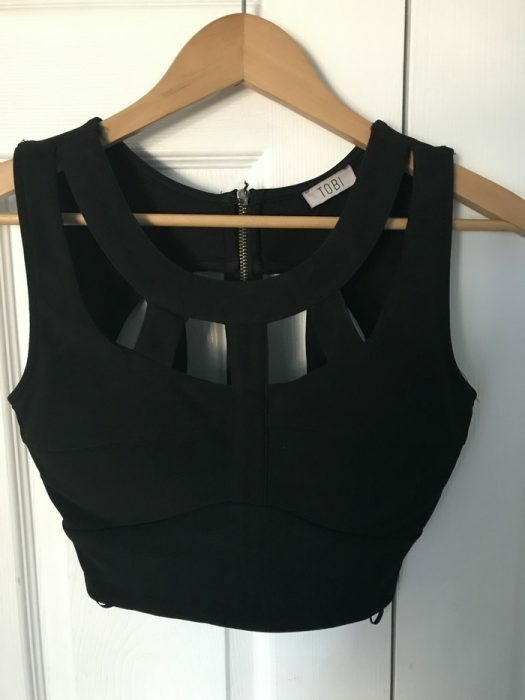 I want to add a good word for the “ready for surgery” top. I do see that description all right, but I can almost see it in a magazine photo spread on a statuesque model, wearing white or black linen pants or a slim full length skirt, and hosting a summer’s eve garden party. And I did think this before I realized it was a designer piece. Short sleeve sweaters could be nice for campus wear in September or early October. But ones that button are perfect for taking along to a movie theater, which are often rather frigid. 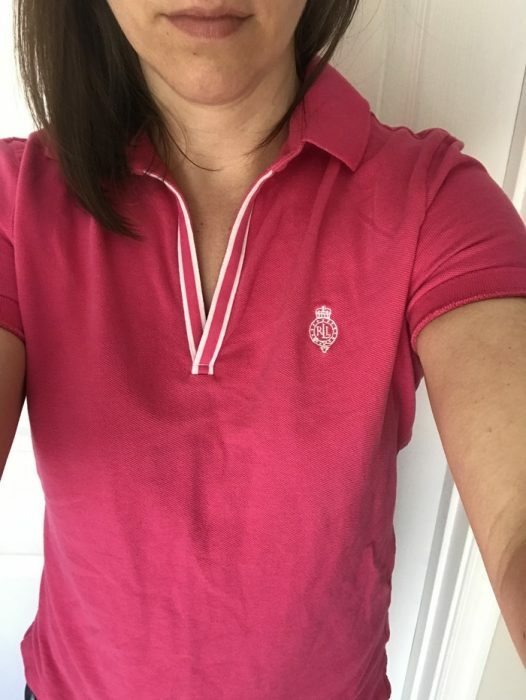 I thought you looked good in the pink polo and the black short sleeved sweater! We are laughing so hard we are crying!